The Big Mac: The Greatest Burger of All Time? When it comes to fast food there are so many choices. From BBQ wings to spare ribs to hot dogs, there is always an endless group of selections. When one looks to find a big juicy hamburger the list is also endless. But which burger is truly the best of them all? There is no doubt that the hamburger market is saturated and continously growing in competition. You can find burgers in your local mom and pop shop, favorite food truck, and even at the local stand on the corner. There are also numerous franchises that offer burgers, there are actually so many choices that it will drive you crazy. So, according to international surveys which burger is really the greatest? The answer still is the Big Mac. The hamburger was created by Jim Delligatti. Delligatti originally worked as an early Ray Kroc franchisee. The hamburger was initially created in his kitchen and the burger initially had two previous names, both of which failed in the marketplace. The first name was called the Aristocrat, which was difficult to pronounce and failed to catch on quickly. Then the name Blue Ribbon was given to the burger, that as well had little success and the name had to be changed once again. The third name, Big Mac, was created by Esther Glickstein Rose, a 21-year-old advertising secretary who worked at McDonald’s corporate headquarters. In 1967, the Big Mac debuted at Delligatti's franchise. The initial price of the sandwich was 45 cents (Today, it is over $4.) The burger was originally designed to specifically compete against Big Boy restaurants' Big Boy sandwich. After immense success and high sales the Big Mac became a permanent item on McDonald’s menu in 1968. The name was popularized by a 1974 advertising campaign featuring a list of the ingredients in a Big Mac: "Two all-beef patties, special sauce, lettuce, cheese, pickles, onions – on a sesame seed bun." This slogan eventually became the way that every Big Mac was immediately recognized on a global scale. Its jingle was created by Keith Reinhard and originally, the ingredients appeared as a one-word heading for a McDonald's ad developed for college newspapers. Eventually the words were then set to music created by Mark Vieha, who performed the original jingle. The first run of commercials ran only a year and a half, going off the air in 1976, but its popularity remained beyond its TV life. Subsequent to the jingle, McDonald's followed up with a promotion based on its customers spontaneously having a "Big Mac Attack". For years many franchises in the United States ran promotions during the original campaign that awarded a free burger to customers who could recite the slogan within a specified time (usually for a few seconds). One example of its success, was that the McDonald's operators in New York City ran out of hamburger buns. Over the years, many other gimmicks and promotions were introduced in order to expand the reach of the Big Mac's clientele. 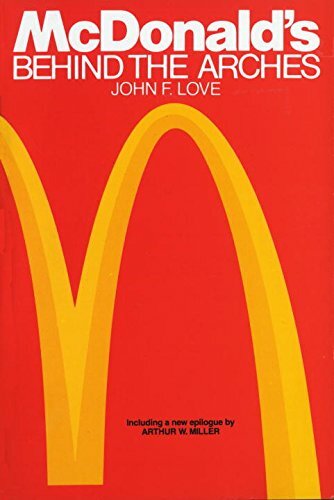 Throughout the 1980s, as a promotion, McDonald's staged an in-house rivalry between their two most popular products. Consumers were invited to decide "Which one will be number one? Chicken McNuggets or Big Mac sandwiches?" For each of either item that a customer bought, they received another of the same at half price. Later in the ad campaign, the second was offered for free. It was eventually announced that Big Mac was "number one'. After this promotion McDonald’s realized that the hamburger once again retained the title as its most admired and profitable product. In the early 2000s, McDonald's began offering product placement incentives and rewards to rap artists who name checked the iconic hamburger name in their music, giving $5 to the artist for every time a song mentioning the hamburger. This offer quickly spawned a satirical reference from hip hop artist Mad Skillz, who references the marketing ploy in his track "2005 Wrap Up" by stating "And I'm beefin' wit' Mickey D's man, y'all dead wrong, Talkin' 'bout payin' rappers to mention Big Macs in their song, We do rap from the heart, y'all better have some respect, Alright, (Mad Skillz then repeats Big Mac three times) Now where's my check?" As of today, it is still unclear if he was ever paid for saying the words multiple times. In 2007, McDonald's decided to open the Big Mac Museum in North Huntington, Pennsylvania which celebrated the 40th anniversary of the iconic burger. The museum features the world's largest Big Mac statue (measuring a colossal 14 feet high and 12 feet wide), and has hundreds of historic artifacts and exhibits that celebrates the legendry hamburger's history. A handful of Uniontown residents were unhappy with the selected location. A McDonald’s spokesperson said that the decision was based on ease of highway access and believes that the museum is an excellent tourist attraction. Many nations either further developed or modified their own versions of the Big Mac. In 2008, McDonald's Malaysia introduced the promotional Mega Mac, which has four beef patties rather than the standard two. Sometimes called the Double Big Mac, it is also available in Australia, Canada, China, Egypt, Ireland, Japan, Turkey, Singapore, Pakistan, South Korea, and Thailand. In the United States, buyers can ask to double the hamburger with two additional patties, although this is limited to only certain states. This modified version of the hamburger is the largest regular hamburger produced by the chain, and has over 1,000 calories alone. In Europe, their own version of the famous hamburger was introduced which is a Quarter Pounder-like burger. In Alaska, The McKinley-Mac is the official Big Mac of Alaska. Even India has a deep bond with the burger, although beef is illegal there the iconic hamburger still does exist. The hamburger was renamed the Maharaja Mac and was originally made with lamb instead of beef; however, along with the company's other items it is now made from chicken. Another version of the Chicken Big Mac with two breaded chicken patties is sold in Pakistan, Egypt, UAE, Kuwait and Qatar. In addition to the McDonald's signature hamburger, Officer Big Mac was the name of a character, in McDonaldland, the fictional world created as an advertising campaign for McDonald's. The character was similar to Mayor McCheese, except he was the chief of police wearing a constable uniform and sporting a large hamburger for a head. Over time, The Big Mac became known worldwide and is often used as a symbol of American capitalism. According to statistics, the hamburger has a special cometitive edge over its competitors. In various taste tests, the results always show that the burger blows away its competitors. The majority of the customers between the ages of 9 and 55 years of age will always choose this hamburger over others. Typically, once a person tries this hamburger they will purchase another product from McDonald’s in a short period of time. In some cases (during special promotions), the hamburger is even offered to customers as a buy one, get one free deal. According to the Guinness Book of Records, Don Gorske has eaten over 26,000 Big Mac hamburgers throughout his life. Even though many people may criticize McDonald's food for its quality, Gorske states that his health is fine and his cholesterol level is actually below the average. He has made appearances on popular TV and radio shows including The Rachel Ray Show, Lopez Tonight, and The Kyle and Jackie O Show. There is no doubt that this one hamburger changed the McDonald's franchise forever. It is debatable if another product may have eventually replaced it or received as much exposure as it has. Clearly, there is no other fast-food chain in the world who can compete with a product that has been marketed so brilliantly for decades. As of today, almost every direct competitor of McDonald's tries to market a new and improved version of their own hamburgers, but typically they do not succeed. They barely put a dent in the sales of this legendary McDonald's product. Many people have spent countless hours and even days attempting to recreate this internationally-known hamburger at home. Some may claim that they have come close, but there is only one true Big Mac and that will always be the one that comes in that special cardboard box. Ray Kroc Grinding It Out: The Making Of McDonald's . New York: St. Martin's Paperbacks, 1992.